10.3 acres +/-, approx. 900 ft road frontage, 3,700 sq. ft., all brick, 5 bedroom, 4 bath home located in Susan Moore. 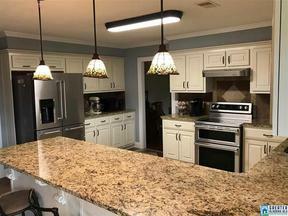 The home features many upgrades over the past 7 years to include stainless steel appliances, granite counter tops, custom cabinets to include pull outs, new HVAC system (elect. ), new shingles, hardwood and tile upgrades, and septic system updated to incude new field lines 2 yrs ago. Family room, sun room and master suite all have vaulted ceilings with exposed cedar beams. There is a 1-2 acre pond on the property containing bass, bream and catfish. Gunite salt water pool (changed from fresh water during past 7 years) with large deck and gazebo. Looking for a place to raise your family in the contry? You have just found it.